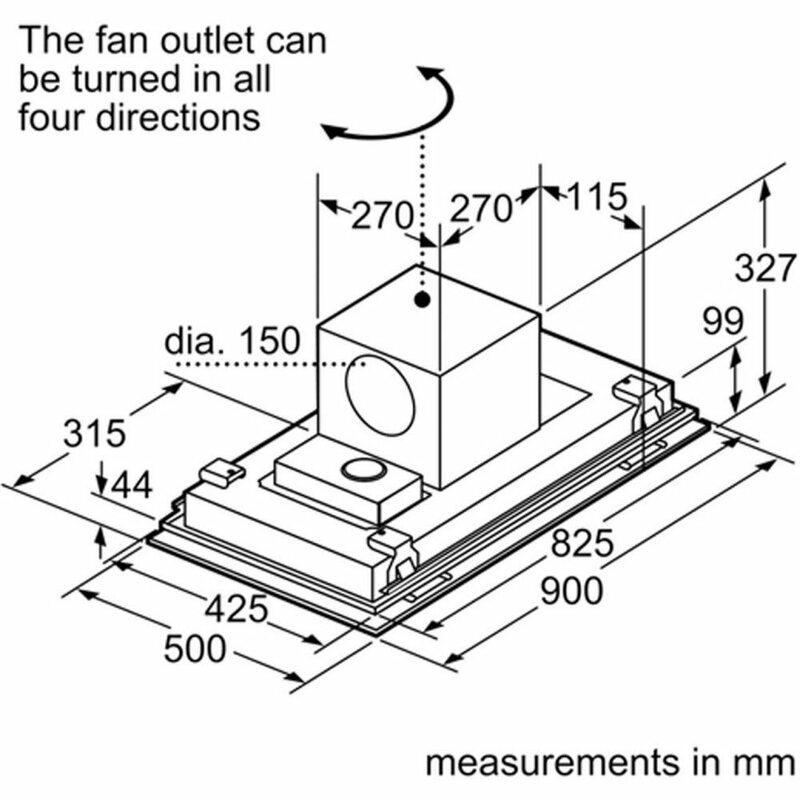 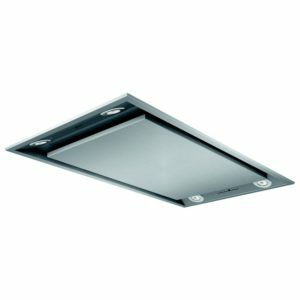 You will be guaranteed to impress your guests with this outstanding 90cm wide hood from Siemens. 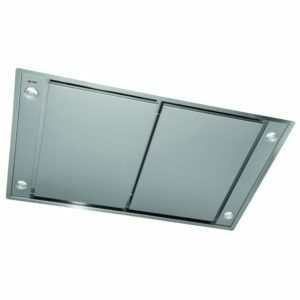 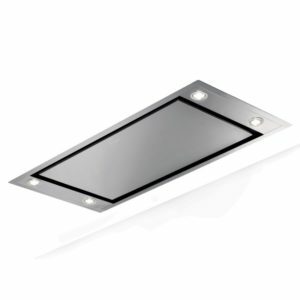 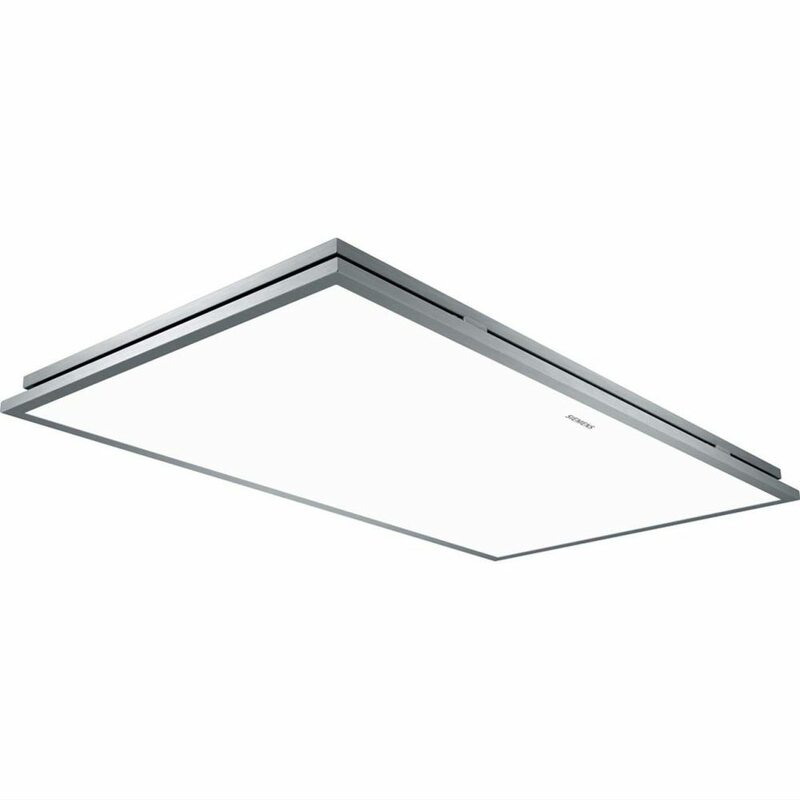 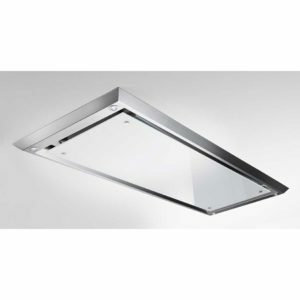 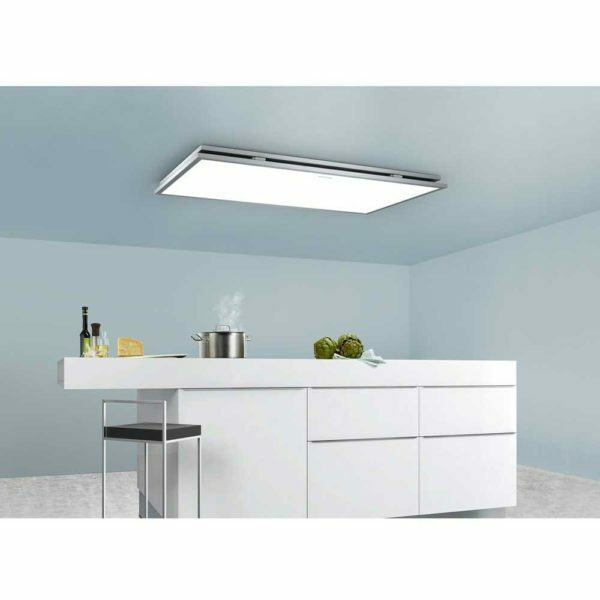 Installed in your ceiling, it draws away all unnecessary cooking aromas and vapour, while illuminating all your cooking thanks to the white glass panel containing dimmable LED lighting, allowing you to lower the light level when needed. 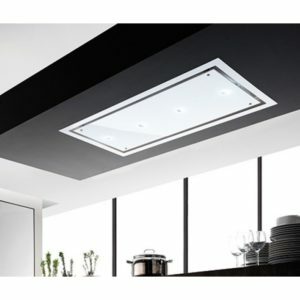 It is not just attractive, with its 710m³ per hour extraction rate, three speed settings and a handy remote control it functions superbly as well!